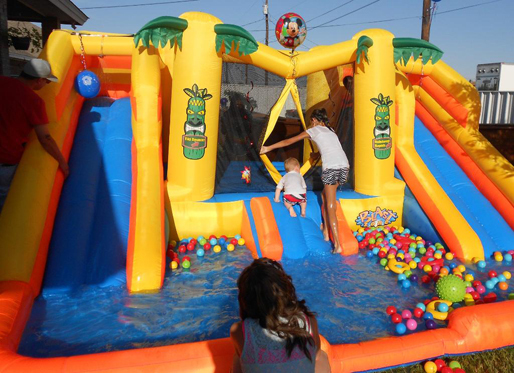 The wet or dry bounce house is your all in one amusement bounce house. Features a 8 x 8 bounce area, 2 mega slides and a Tiki Lagoon. Inflated size: 15'L x 16'W x 7'H. Recommended for children ages 3 - 9. Bounce House Attendant may or may not be provided.